Manchester United fans have every right to be excited for the upcoming 2019-20 season. The club’s official announcement on Friday confirmed that Ole Gunnar Solskjaer has indeed been appointed as the full-time gaffer, with the Norwegian signing a three-year deal with the Old Trafford outfit. 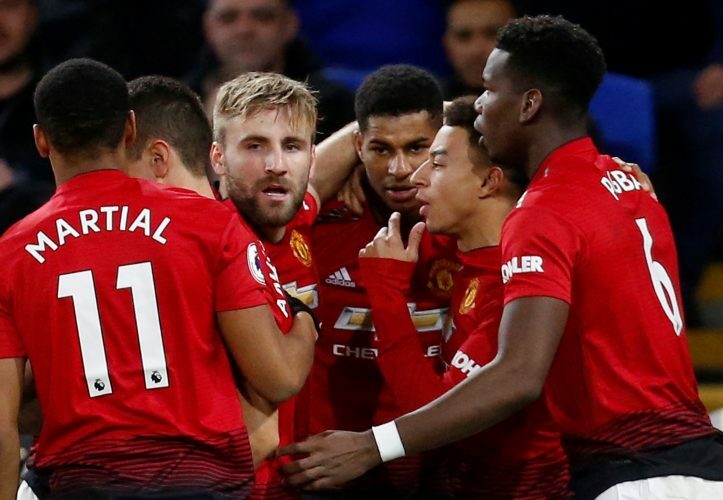 Solskjaer himself spoke about his plans to transform the Red Devils back into a force to be reckoned with, and resume competing for major titles sooner rather than later. Further, the 46-year-old also admitted that the club will be engaged in some transfer activity in the summer, thereby fuelling speculation regarding all the potential signings the Mancunians could pull off in the market. But if the prospect of a new beginning and the arrival of some world-class reinforcements wasn’t enough, the club faithful have now received another reason to be excited about. Footy Headlines have ‘leaked’ a picture of Manchester United‘s home shirt for the upcoming campaign, and it has since gone viral on social media. Footy Headlines have a history of leaking football kits, and they have been incredibly accurate with their information on more than one occasion in the past. The leaked kit suggests that the Red Devils will be going back to basics, with the shirt sporting a plain red colour, along with a badge that seems to be inspired by the 1999 Champions League winning strip. Solskjaer’s men are expected to wear this shirt with white shorts and black socks.